Djanikian’s best poems are tender and intimate; they rely on straightforward human warmth. Their restrained passion is well served by their involvement with what can be seen and felt in the world….But always in his best poems runs a sure, smooth current of love. The self in The Man in the Middle is sometimes bumbling (“In Vermont: Just Visiting”), sometimes afraid (“Winter 1977: Messages from Upstate N.Y. to a Friend”), but often it is celebratory because one of the fundamental impulses of poetry is to name, celebrate, to give praise, and Djanikian, knowing that this is so, does not hesitate to ride this impulse. 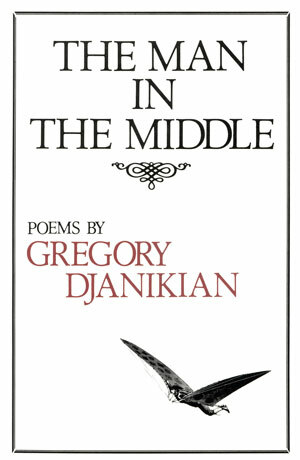 Relying mainly on traditional forms and techniques to celebrate ordinary human experiences, Djanikian has the gift of surprising and delighting us on every page….Whether writing about country or city, his Armenian family history or biblical events remoter still, Djanikian has a clear voice and a clear, accessible vision. With The Man in the Middle, he is off to a most auspicious start.